Manny Miceli is a seasoned Insurance professional with over 35 years of Commercial and Personal Lines expertise in the Insurance industry, and has a solid background in risk management, sales, marketing, underwriting, customer service, managing and directing agency operations. He specializes in personal & commercial property insurance, business insurance & retirement planning. 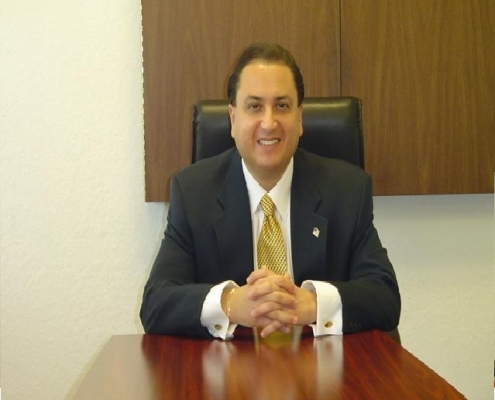 Manny, created INSURANCE RISK ADVISORS, INC.as Principle and President he was instrumental in establishing a multi-line Insurance Agency which gives added value to his clients by providing personalized service and tailor made programs to fit their individual or business needs. He works with numerous A rated Insurance carriers such as AIG, CHUBB, PROGRESSIVE, TRAVELERS, ING, ALLIANZ, LLOYD’S OF LONDON, to name a few. In December 2006, Manny was inducted into The Cambridge Who’s Who Registry. From 1994 to 2000, Manny participated in numerous Washington D.C. roundtable discussions with members of President Bill Clinton’s Cabinet, Additionally, In 1994, Manny participated in the G-7 Economic Summit in Chernobbio Como, Italy. He is currently a corporate partner for the National Association Of Women Business Owners Broward/ Palm Beach, and since 1998, Manny is an Honorary Member of Girls & Boys Town. Manny is also a member of the American Association of Insurance Professionals, Inc.
Peter specializes in Equine Mortality Insurance.We represent several of the top Equine Insurance Companies in the nation and London,England. Today,through our nation’s leading Equine insurance carriers we are able to provide for our clients access to broad policies with numerous coverage enhancements to help horse owners protect their investment in these valuable animals. These policies cover Mortality,Major Medical & Surgery,Illness or Injury,Stallion Disability and Loss Of Use. Peter,a passionate horse owner himself,understands the concerns of ranch owners. He also specializes in both individual or commercial Farm and Ranch Insurance.Our agency has the ability to protect our ranch owners total needs for liability, property and horse risks, without any concern for gaps in their insurance program.